Bold title, I know, but stick with me on this one. I’m not going to beat around the bush; the thought of having a monthly “ordeal” if you will, as I have in the past, every month, alone, is truthfully gut wrenching—menstrual pun fully intended. Not only are my symptoms unbearable, the thought of being physically disabled, as I am, during these weeks, for so much of my life is not an option for me, realistically. My period has already forced me to miss out on so much—real life experiences that I, as a human being, deserve to have and sadly, I can never get these moments back. That being said, I have the power to take control of my life, to decide my own happiness, and to pursue my own future. So before I dismiss a few myths, let me take you back so that you may, in some sense, be able to understand my conclusive logic. So here we go; heading way back. But first, I should warn you; I am a feminist and truthfully always have been. Okay—picture this: It was the summer before seventh grade, and in a diner on Father’s Day, I got my period. It was devastating, not at all like what you see in the movies: “Oh you’re a woman now; oh, how exciting!” In the current system we have? Not really. But I digress. So I was upset, you get that, but truthfully I was upset without, in any sense, even being able to fathom what I was in for. My next period would come on time, confirming my worst nightmare: this was it. There was absolutely no going back. I don’t remember much else about my first period, at least nothing worth notable mention to my premise; that being said, my second menstruation would be the start of an era. This period lasted 13 days. Thirteen. One, three. I talked to my mom, at the very least that I can recall, to which she reassured me that my body was just going to take some time to get used to the changes. Okay fair enough, but how unfair at the same time. I can recall going to summer camp and feeling like I was cool, like I had a secret, and that’s mainly because, from my recollection at least, my period was anything but horrible. Blood? Sure. Long? Yes. Painful? Not so much. As the weeks and months and years went by, I began to note changes in my cycles. They became 26 days apart, consistently, and lasted for four days. They were fairly light but hell were they painful. I’m sure my sister and dad both, but my mother especially, numbered the days I was in agony, and still I felt I was keeping it to myself—still a secret, though it had grown into something else too, not shame or guilt, but perhaps more so of mortification. I didn’t want people to know how weak, and ill, and gross, and sad I felt. I can recall taking a trip up north to visit my dad’s family; I can vividly recall being on my period; I can recall folding a comforter over itself a number of times and putting on the seat of our car; I can recall spending six hours wanting to cry, to sleep, to throw up, to lay down, to do absolutely anything but what I was doing; and to make matters worse, I had to fake it. I had to pretend I was okay, and that it was nothing more than a simple case of car sickness. I could go on and on. Between working a physically demanding job over summer vacations; and my supervisors insisting I go home, insisting that I sit down, insisting I “get it checked out,” and spending days in bed or on the floor on a bean bag literally scalding off my skin with a hot pack that was as warm as I could stand it, and probably far beyond what I would have been able to tolerate on a normal day; and being told by physical education teachers that working out alleviates cramping; and menstruating every other week to the point that I was faint, experiencing migraines and making myself physically ill I still tried to deny that there was anything wrong. My pain was no more excruciating than that of the next person. I can vividly recall taking ibuprofen every four hours, just to eventually give in and sit on the shower floor on a towel, trying not to make myself sick and hoping the hot water would do something for me. I can recall a co-worker insisting that I look into the Depo-Provera birth control shot; a shot that, with any luck, would reduce my menstruations down to four times a year, instead of 12. It wasn’t until my senior year of high school that I was finally forced to do something about it. I went to bed feeling anything but well. It is not difficult to recollect a stabbing pain in my lower right side; it was the kind that would leave me doubled over if it hit me just right. I can recall getting into bed and just praying I might be able to sleep it off. Finally, at around three o’clock in the morning, I woke up in horrible pain. After ruling out that it could not be my period on its way, the next thought was appendicitis. I begged my parents to take my to the emergency room, to which they reluctantly agreed. Upon arriving, a series of tests were run and such an infection was ruled out. Next, they ordered an ultrasound which I did immediately after a nearly sleepless night. I found out I was polycystic, which really came as no surprise. Both my maternal aunt and her biological daughter, struggle with such issues. On my dad’s side there have been a number of issues with fertility and miscarriages all of which are directly biologically connected to me. I don’t know how deep the genetic component of such issues are-nonetheless, I was pointed towards temporary solutions. In other words, an egg formed an ovarian cyst and this cyst then burst, causing me the pain. The development was not prioritized as something that should be looked into further, and I began taking painkillers as needed and birth control that was not estrogen based, for fear that such an approach might only create further problems. After a few months of light and inconsistent bleeding, I stopped getting my period all together. Truthfully, I was the happiest, healthiest, most content version of myself that I had been in a long time. That being said, it took no time at all to slip into my old experiences after increasing my physical activity. I enjoy working out, but it’s more than that. It’s about having the freedom to live my own life as I see fit. So in recent months, I have begun looking into the issue again and what I have found is devastating in the sense that I’ve gone on for far longer than I should have, believing that I was simply weak or dramatic. I have been deeply saddened to learn that so many people are likely struggling with similar issues, and they feel that they too are alone and/or crazy. If nothing else, I hope my openness with my experience sheds a light as to such an issue’s far too common occurrence in the face of silence. Based on the various explanations (uterine fibroids, polycystic ovarian syndrome as a result of endometriosis, et cetera) as to why I have had such experiences I am led to one catch-all solution: a hysterectomy. 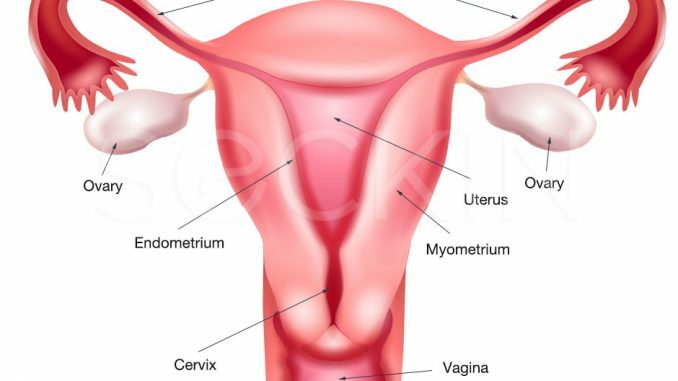 While there are partial, total, and extended versions of the operation, as a whole it can be expected that, at the very least, the uterus and any surrounding converted tissue would be removed and this is the version of the operation I would seek out. Furthermore, there are additional approaches to this removal, to which a link for a more detailed explanation is listed below. I’ve received many questions about this, and hopefully I am able to debunk a few myths. Are kids in the cards for me? No—Why? I am a person who is just as honest with myself as I am with those around me. Periods in and of themselves have proven to be more than I can handle, let alone the days and weeks surrounding it. Kids are just not part of the picture long term for me, not in any personal capacity. I have no desire to be a parent. I think I’ll make a pretty cool aunt and I enjoy occasionally babysitting, but anything more than that is outside of my plans. True enough; I never claimed not to be. That being said, age does not define maturity. Between taking child development and parental relations courses required for my major, babysitting, and being one of the oldest of eight cousins, I have confirmed this fact that I do not want children. I love kids and think they are great, adorable, and sweet, but I love my time away from them. I love being able to give them back. I love not being financially, emotionally, et cetera responsible for another person. I love being free, independent, and true to myself and my own goals and desires. Nonetheless, the world is vastly overpopulated as it is and should I want a child, I could most certainly adopt, foster, or any variety of other options. Let’s say that at some point I become dead set on having biological children, I could do that as well—via surrogate. That being said, when considering the current state of the world, why would I? Surrogacy is nearly 30 times as expensive as adopting and I truthfully never see myself taking this path; nonetheless, I could. And hopefully, if I was truly serious about having a child, I would be financially stable enough to support such a change in lifestyle to the point that surrogacy would be at the bare minimum “doable.” Lastly, pregnancy is difficult enough as it is without being diagnosed with uterine fibroids, endometriosis, so on and so forth, the experience with such obstacles would be greatly complicated. What about menopause? Assuming I lead a long and healthy life, it is something I will experience just as every other person with such related reproductive systems. That being said, estrogen levels are responsible for such a bodily shift. Keeping your ovaries intact will eliminate this problem, continue to aid in protective components of the health of various organs, et cetera. Sexual experiences coincide with this, and literally absolutely no component of it would change (depth, arousal, et cetera), after any individual has fully healed, and especially in my case and others like it. Assuming that everything else is left intact, this particular facet of your life will not change at all, at least not outside of biological progression. Here’s the thing, people can tell you you’re dramatic and irrational and any number of things they want, but really they don’t know. “Take ibuprofen” is only an acceptable statement when you’re talking about a minor headache, not a migraine; such a comment should not be coming from the headless horseman, nor should men find themselves regulating the female reproductive system, but look at that—again, I digress. At the end of the day, I’m going to be spending money one way or another. Whether it be that I am in some way trying to muster up temporary, half-effective solution, or putting an end to the problem, in which both have their tradeoffs. Regardless as to whether I change my mind on kids, I absolutely never want to be pregnant. At the end of the day, I just want control over my own life. I want agency to decide the fraction of my time spent in the whole of this world for myself. I don’t want to be dictated by my biological shortcomings anymore.